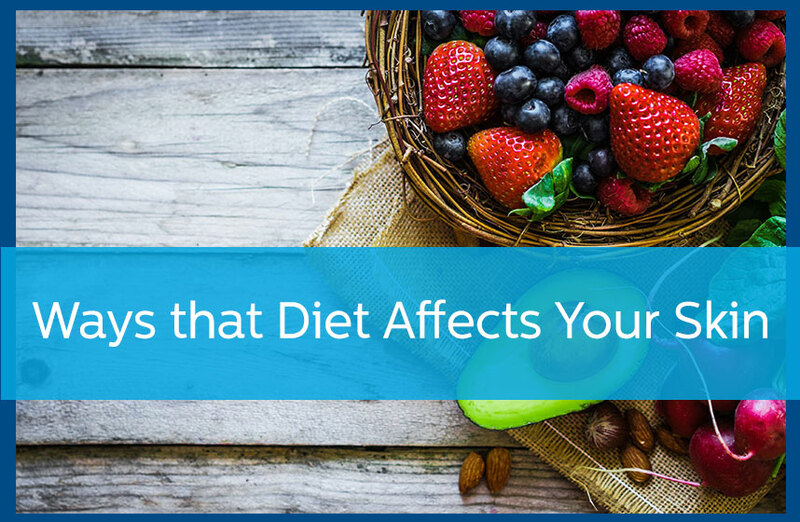 Diet affects the health of the body in incredible ways. Most of us are familiar with the impact that a few changes in your diet can have on your heart, but that is just the tip of the iceberg when it comes to the potential benefits of a healthy diet. Eating certain types of fruits or incorporating additional healthy fats into your diet can accomplish all sorts of health feats—from anti-aging benefits to improved cognition. It should therefore come as no surprise to learn that your dietary choices can have a drastic influence on your skin’s health. Unfortunately, this influence can be both positive and negative. Let’s start with the bad news first: some of the most delicious foods that you probably frequently crave are actually quite bad for your skin. Fried foods and foods that are loaded with sugar are not good for your skin. A diet filled with french fries, cheeseburgers, chocolate bars, and ice-cream sandwiches can have a detrimental impact on the health of your skin. Specifically, dairy products, and foods with a high glycemic index, like sugar and white starches, are shown to worsen acne for some people. The good news is that there is a long list of healthy foods that can significantly improve the health of your skin. Foods that are nutrient dense, meaning they are rich in vitamins, minerals, fatty acids, and amino acids, are especially good for your skin’s health, and can help restore a radiant glow that can help you to feel more comfortable in the skin you’re in. Some of the foods that can be helpful include fruits and vegetables that contain vitamins like A and C, and antioxidants that may reduce the harmful effects of excessive sun and ultraviolet exposure. Other compounds, like Omega-3 fatty acids, have anti-inflammatory effects that can also protect the skin. While there are a long list of foods that are often touted as being ideal for improving the health of your skin, the truth of the matter is that as long as you are following a set of healthy guidelines for a balanced diet, you are likely to see an improvement to your skin’s health, as well as to the health of the rest of your body. Staying hydrated. Specifically, drink a lot of water and stay away from carbonated beverages and drinks high in sugar. Avoid processed foods. Try to eat whole foods as often as possible. Avoid foods that are highly processed, like pre-packaged foods. If it came from a factory, it probably isn’t good for you. Reduce sugar and dairy. While dairy can play a role in a healthy diet, it needs to be eaten in moderation. Sugar should also be greatly reduced. For more support keeping your skin healthy and glowing, reach out to your dermatologist for guidance. Contact Avail Dermatology today by calling 770-251-5111 or by scheduling an appointment with us here.